While waiting for Ed’s official report of the match, I’ve added a gallery of photos from Saturday’s play, click on photo in right hand column on front page. When I left, before end of play on Saturday, GB had won all the doubles matches in the morning, and had won the singles matches that had been completed by late afternoon, but Simon and Nathaniel were ahead in their singles match. The croquet highlight on the Saturday was the back-to-back Sextuple Peals by Stephen Mulliner in his win over Ed Cunningham. Still photographs cannot capture this level of quality play, but there is a photo in the gallery of Stephen taking his usual meticulous care in aligning his final shot to peg out. Simon and Nathaniel both won their second Saturday singles matches. 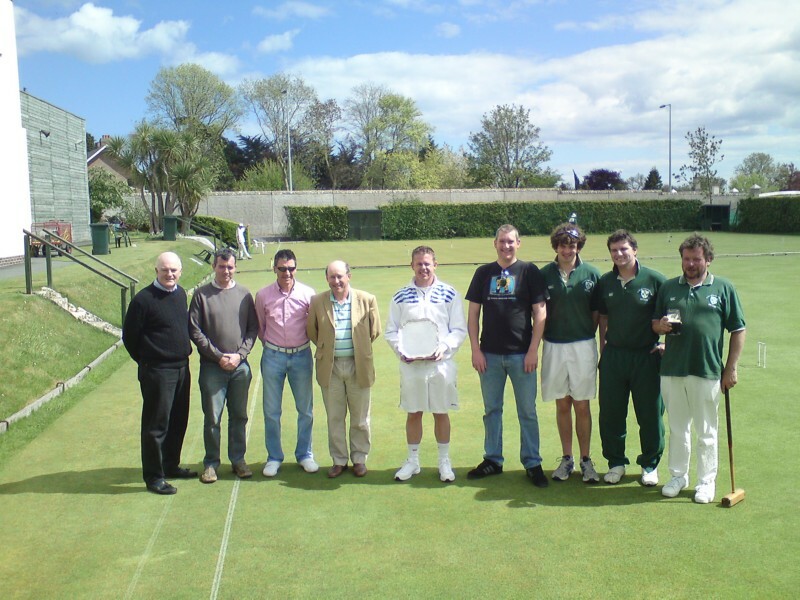 The Irish highlight on Sunday was Andrew’s defeat of Stephen Mulliner by 2 games to nil on the Sunday. That puts Andrew at 38th in the World rankings. This note will be replaced by Ed’s report. Results from CA website: GB teams first.